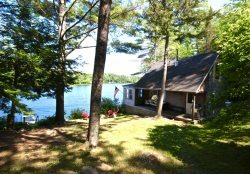 SummerMaine's newest Maine Vacation Rentals! From Maine Cottage Rentals to Oceanfront Rentals and everything in between. We are available to assist with all your questions to help ensure you find the vacation rental that is just right for you! Impeccable waterfront home in a private setting. Beautifully restored intown Farmhouse - walk to everything! It's a Hellavaspot on Port Clyde Harbor! Charming Cottage, spacious, peaceful with views of Hosmer Pond.